Whitney Houston's former New Jersey estate - which has a circular theme and boasts five bedrooms - is up for sale for $1,5 million (R16,7 million). Whitney Houston's former home is up for sale for $1,5 million. The late singer - who died in February 2012 - had the New Jersey estate built 26 years ago for $2.7 million and the property, which is set on five acres, is now available at a cut price after being listed several times since her death. Estate agent Gregory Taylor, who is selling the house - which is no longer owned by Whitney's estate - said: "It was on the market several times but there were some hiccups along the way. "It was purchased from the estate and cleaned up. The current owner wishes to remain anonymous." 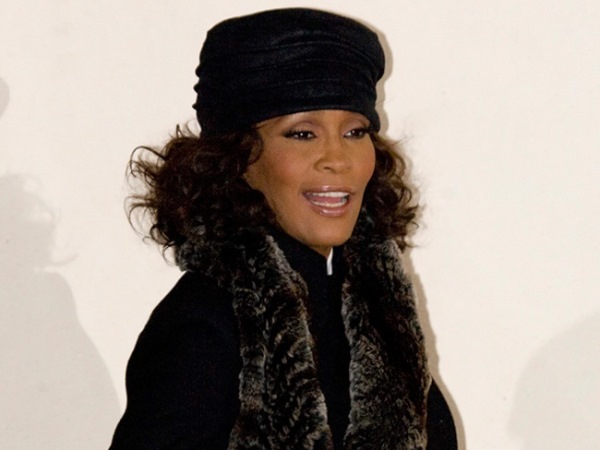 The realtor is unsure when Whitney sold the property, which was listed in 2009 for $2,5 million, and again in February 2011 priced the house at $1,75 million, though the latter listing was taken down in January 2012. In the days after Whitney's death from accidental drowning caused by cocaine abuse and a heart condition, fans left floral tributes at the gates of the lavish five-bedroom property. The house - which also boasts amenities including tennis court, walk-in closets, a six-car garage, pool, deck and pool house - was also the site of the troubled singer's wedding to Bobby Brown in 1992. The property was reportedly inspired by Terminal C at Newark Liberty International Airport and includes many circular rooms, including a master bedroom with a circular bed and circular bath.